Last month, the US banned passengers on direct flights to the United States from 10 airports in eight countries from carrying on board laptop computers, tablets and other electronic devices larger than cellphones. The affected airports are in Turkey, North Africa and the Middle East. The UK followed with a similar ban applying to incoming flights from six Middle East and North African countries. The ban was the result of information seized during a US raid on Al Qaeda in Yemen in January. 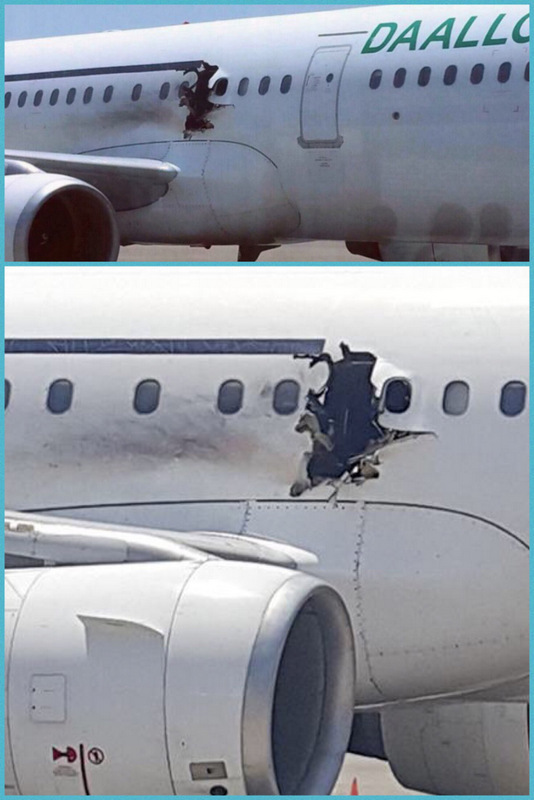 The damage caused by laptop bomb on a Somali airliner in 2016. The United States may soon expand its ban on air passengers carrying computers on board on US-bound flights, Homeland Security Secretary John Kelly said last week. “We may take measures in the not-too-distant future to expand the number of airports,” he told reporters. So, why the ban? 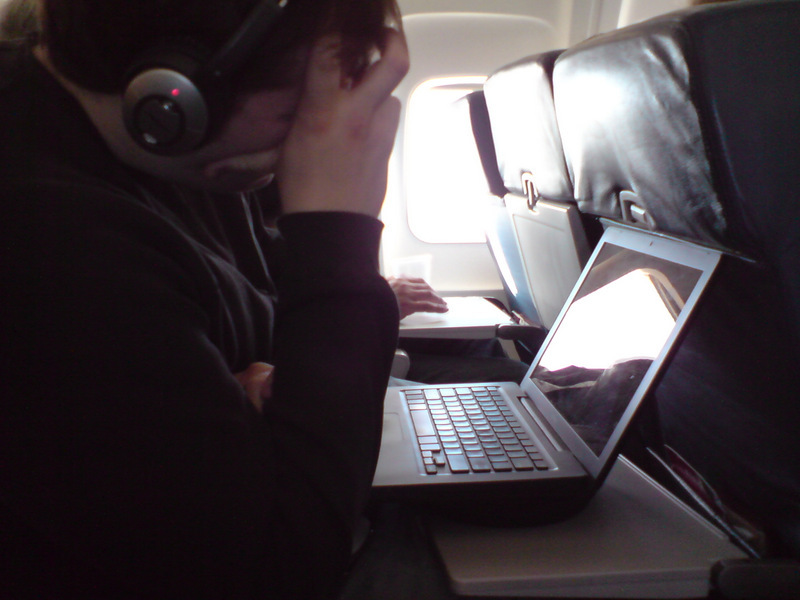 Simply put – because laptops and similar devices have already been used by terrorists to carry explosives that have been detonated to bring down planes and recent intelligence suggests more are on the way. The terrorists are known to be highly motivated to bring down a US bound plane in mid-flight with huge loss of life. The subsequent media attention would be on par with the 9/11 attacks which killed thousands and downed the World Trade Center Towers in New York. During the Sept 11, 2001 attacks 2,996 people were killed and more than 6,000 others wounded. Those killed included 265 on the four planes, 2,606 in the World Trade Center and 125 at the Pentagon. They do not include the 19 terrorists. Laptops and electronic devices larger than a smart phone have been banned from carry-on luggage coming to the US and UK from airports in Turkey, Lebanon, Jordan, Egypt, Tunisia and Saudi Arabia. Six UK airlines – British Airways, EasyJet, Jet2, Monarch, Thomas Cook and Thomson – and eight foreign carriers are affected. A UK Government spokesperson said, “We recognise that we face a constantly evolving threat from terrorism and must respond accordingly to ensure the protection of the public against those who would do us harm. Which airports are affected by the new UK air travel rules? For UK-bound travellers, it affects six countries coming from: Turkey, Lebanon, Jordan, Egypt, Tunisia and Saudi Arabia. The US ban applies to 10 airports in eight countries – Jordan, Egypt, Turkey, Saudi Arabia, Morocco, Qatar, Kuwait and the United Arab Emirates. In February 2016, a passenger was blown out of a plane after a bomb exploded in an apparently blundered suicide attack on a flight as it left Somalia. Since the plane had not reached a high altitude, the pilot was able to return to the airport. Two people on board were injured. It is thought by the intelligence community that the sophisticated device was a test for use in Europe and the United States. According to news sources the explosive device was built into a laptop computer and was detonated on the Somali passenger jet. It was smuggled through an X-ray machine by airport staff at Mogadishu airport. Later this was handed to the suicide bomber to take on the Daallo Airlines Flight 159 to Djibouti. The device blew a hole in the skin of the Daallo Airlines plane but did not down the aircraft. It detonated 20 minutes into the flight before it reached cruising altitude. The flight had been delayed by one hour and this may have saved everyone on board. Whether the devise was triggered manually or malfunctioned is not known. The suspected bomber was blown out of the plane, and his body was recovered on the ground. The bomber knew precisely where to sit and how to place the device to maximise damage. Given the placement, the blast would have set off a catastrophic secondary explosion in the fuel tank if the aircraft had reached cruising altitude. 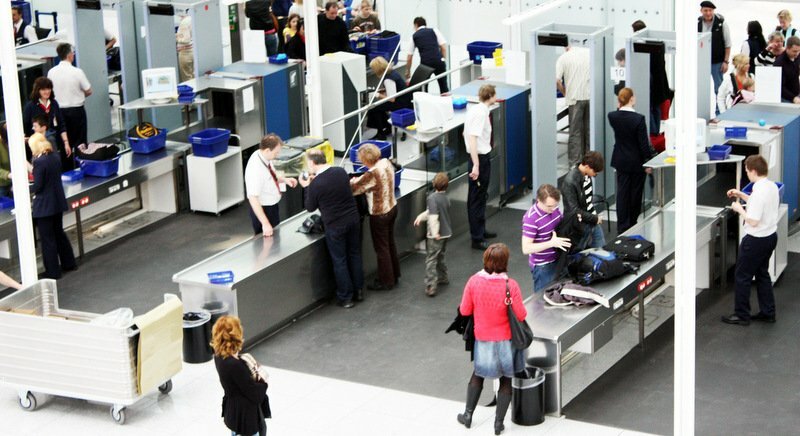 The ban on carry-on electronics aboard US bound flights from airports in North Africa and the Middle East was the result of information seized during a US raid on Al Qaeda in Yemen in January. Information from the raid shows Al Qaeda’s successful development of compact, battery bombs that fit inside laptops or other devices believed to be strong enough to bring down an aircraft. The battery bombs would need to be manually triggered by a suicide bomber, which is why the electronics ban is only for the aircraft cabin not checked luggage. The US Department of Homeland Security publicly cited two attacks on flights in the last two years: The downing of a Russian jet over the Egyptian Sinai in October 2015 and the failed attempt in Somalia on a passenger jet that had taken off from Mogadishu in February 2016. The attack in Somalia occurred just months after an EgyptAir mechanic allegedly helped smuggle a bomb onboard Metrojet Flight 9268 at Sharm el-Sheikh airport, killing 224.